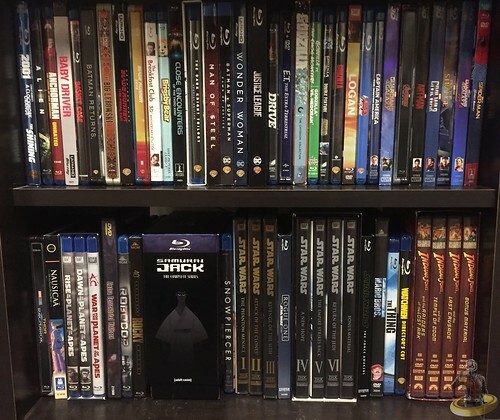 It's been a while since I've posted by (mostly) entire blu-ray collection! The reason why I've totally loaded up on blu-rays in the past couple of months is I've been participating in these economics experiments at my school, and if you play your cards correctly, you can make some BANK. So I've been using that cash for some quality blu-rays and a few DVDs. 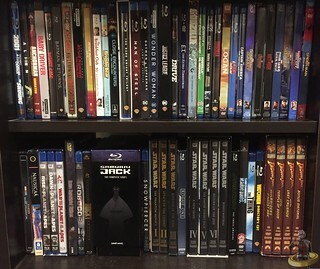 These aren't all my blu-rays and DVDs, these are just the ones I keep in my dorm. I have some like Pulp Fiction, Planet of the Apes, and Get Out at home; and some at my cabin in Southern utah like Deadpool, Howard the Duck, and The Avengers. If you want to check out my ENTIRE collection, make sure to check out my list on Letterboxd!